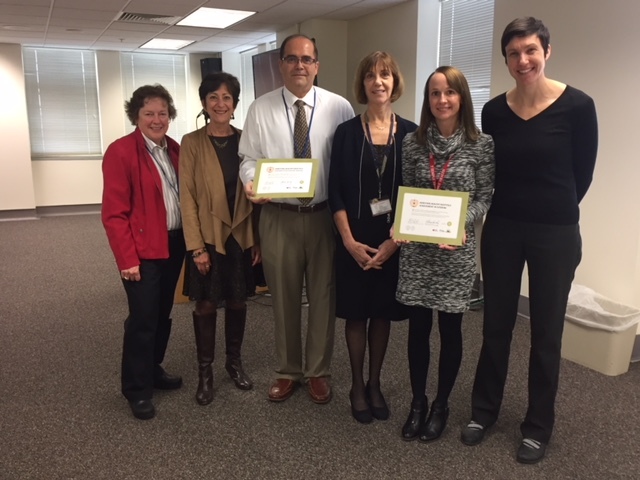 This fall, seven Philadelphia hospitals were publically recognized for attaining multiple levels of achievement in the Good Food, Healthy Hospitals program, a partnership between the Philadelphia Department of Public Health, The Common Market, and the American Heart Association. 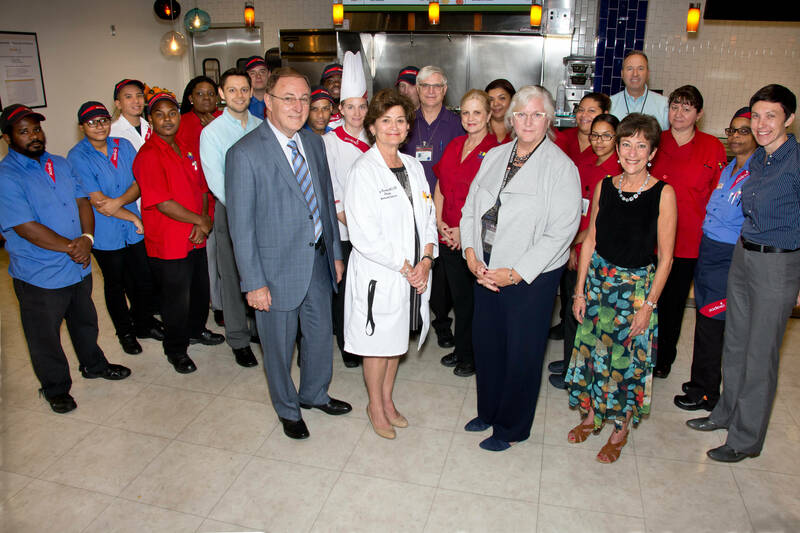 This Centers for Disease Control and Prevention funded initiative engages area healthcare institutions to create a culture of health through the foods and beverages purchased, prepared, served, and sold every day. 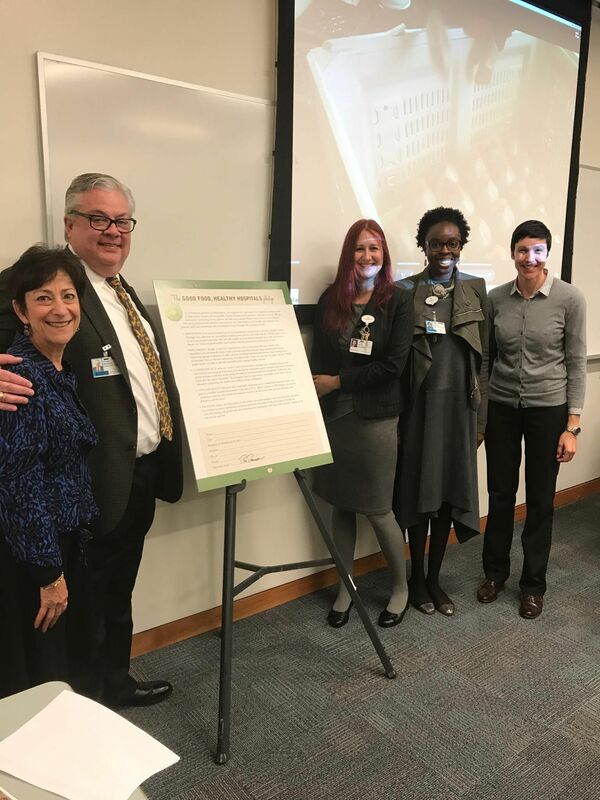 Each institution signs a pledge committing to implement standards for purchased foods and beverages, patient meals, cafeteria meals, catering, and vending machine operations. These commitments include purchasing locally sourced and sustainably produced foods and increasing the overall nutritional value of the snacks, meals, and beverages offered. To date, Good Food, Healthy Hospitals includes 16 institutions throughout the City. We congratulate the following participants for their accomplishments and thank them for their continued commitment to high quality healthcare. Eliminating deep frying for patient meals and operating a farm stand on site are a couple of the ways St. Christopher’s promotes health for staff, patients, and visitors. St. Christopher’s executive chef also offers vegetarian and vegan selections when catering hospital events an highlights healthy snack options. 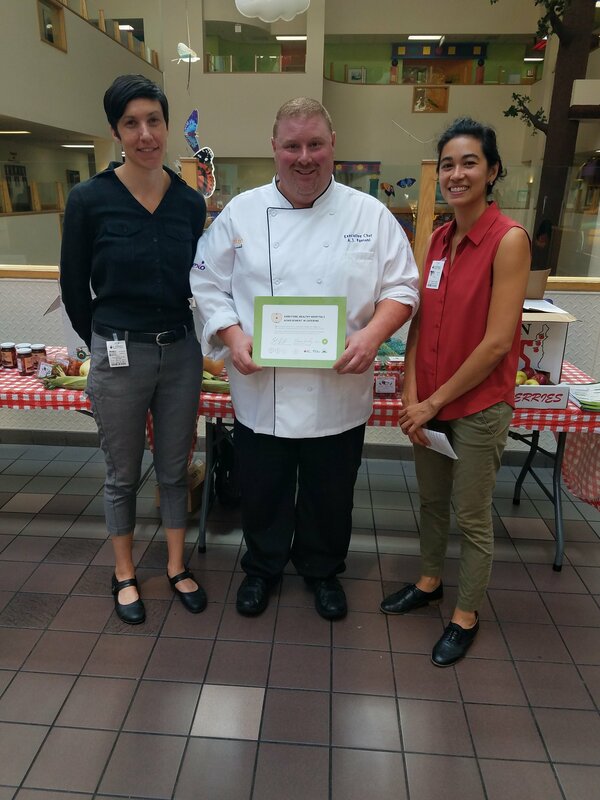 These two hospitals, who share the same campus, launched Wellness Wednesdays to bring their farm stand into the cafeteria and feature fresh produce in entrée items each week of the season. Menu items are accompanied by their recipes and nutrition information for staff and visitors to try out at home. Both institutions also grow their own herbs and tomatoes which are featured in meals served to staff and visitors. Temple’s executive chef features locally grown and sustainably produced fruits and vegetables on the cafeteria salad bar and in patient meals each day. Such offerings include antibiotic-free chicken and fresh peaches (in season). 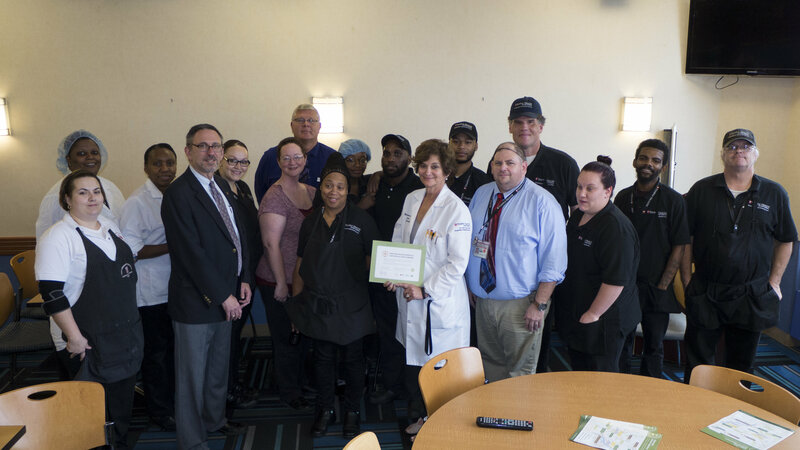 Additionally, in partnership with the nursing team, Temple’s foodservice operator removed sugar sweetened beverages from patient floor stock and now promotes water and unsweetened seltzer as part of their care process. Mercy has taken a stand and eliminated energy drinks from their offerings throughout the institution. They’ve also reduced their cup sizes at the soda fountain with a 20oz being the largest offered. A fully functioning farm operates in addition to a weekly farm stand providing patients, staff, and visitors access to local and sustainably produced fruits and vegetables throughout the year. 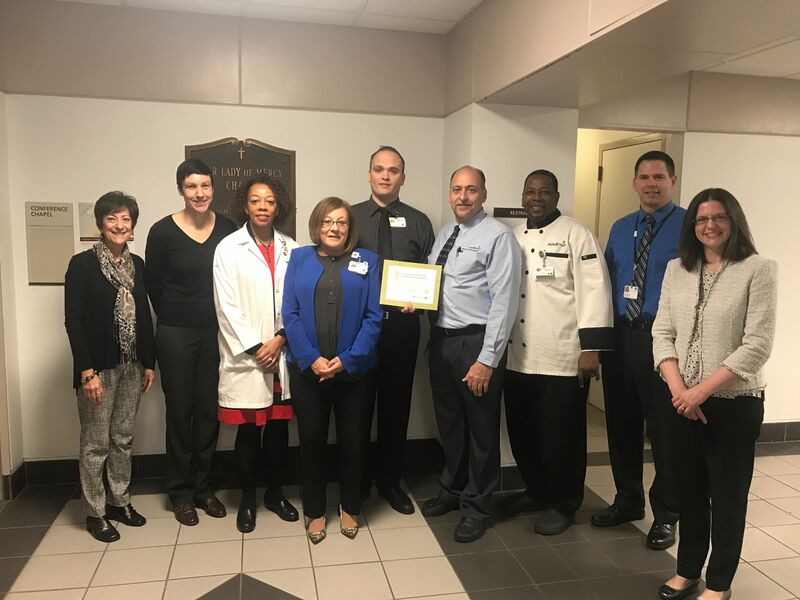 Lankenau is also the first hospital to completely eliminate sugar sweetened beverages from its offerings in vending machines, the cafeteria, and patient menus. 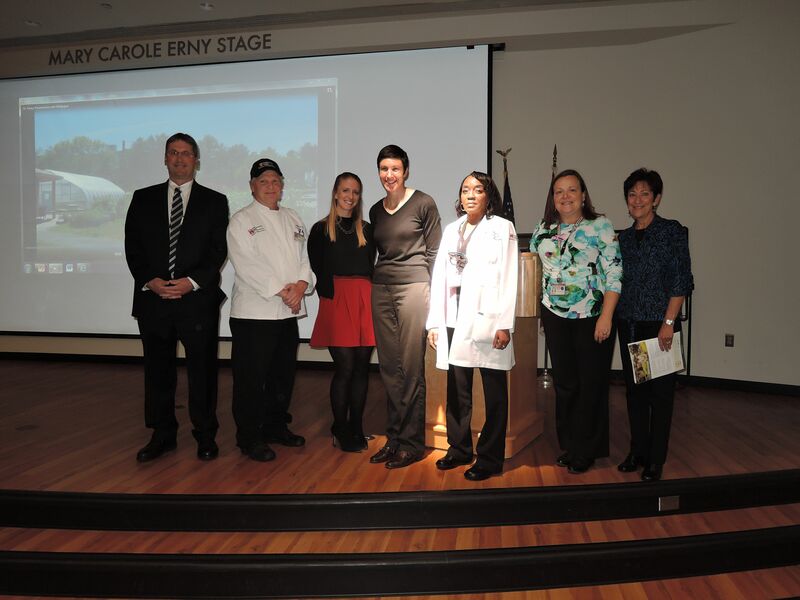 Episcopal’s clinical dietitian engaged staff and patients to solicit feedback to create healthier choices. Patient meals no longer feature fried foods, white flour, or sugar sweetened beverages. Instead, they’ve increased portions of fresh fruits and vegetables, provide unsweetened beverages, and serve more whole grain options. For more information on the Good Food, Healthy Hospitals initiative, contact: Catherine Bartoli at catherine.bartoli@phila.gov.